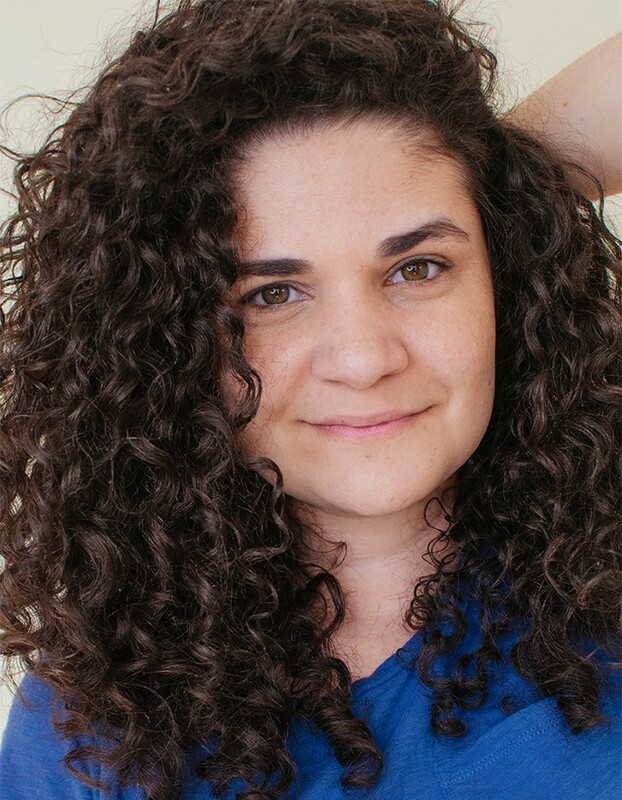 Over the past few years, thousands and thousands of curly girls and boys around the world have bought into the idea that to have healthy curls, they need to overload their hair with complicated routines and a series of heavy products. The term “tame” continues to be in the vocabulary of many people and hair products across the globe, as if curly hair is a beast that needs to be controlled daily. 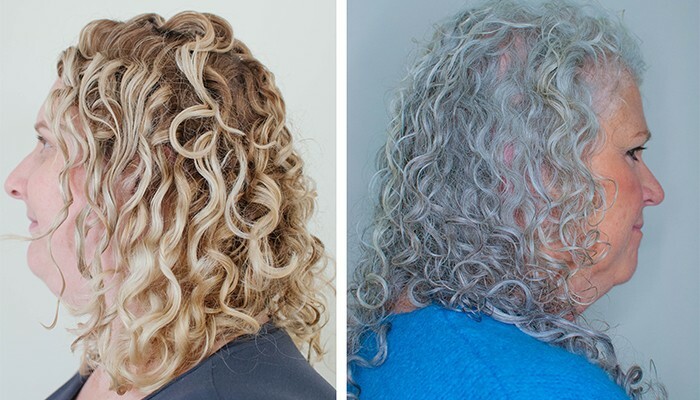 Yes, we have made enormous progress in the world of information when it comes to curly hair, but for some reason a lot of people’s concerns remain the same. I’ve had the opportunity to use each CurlyWorld product on my own curls and on the curls of other women. After testing, studying and finishing each product, I decided to write an honest and detailed review. Today, I’m sharing my review of CurlyWorld’s Sham-Free (the curl conditioning cleanser), Terms & Conditions (the conditioner), With or Without Hue (a conditioning toner for silver & blonde hair) and also sharing a sneak-peak of Leave In Lover (the curl hydrating gel). Each product has been packaged in a way that is friendly to the environment: in stand-up pouches. These stand-up pouches are made of 100% recyclable materials. They require less fuel during transportation because of their light weight. They are also landfill friendly. CurlyWorld’s packaging contains scientifically developed layers of FDA-approved food-grade film. This is a cleanser that has conditioning ingredients in high amounts. It has a minty botanical smell. It does not lather, but cleanses the scalp very well, adding a “cooling” sensation to the skin. After being cleansed with Sham-Free, my scalp always feels clean, fresh and moisturized at the same time. Sham-Free takes away the fear of not using shampoo. It also cleanses and moisturizes curls. It’s not heavy or greasy at all. I like to detangle with Sham-Free as well. After fully wetting my curls in the shower, I apply a generous amount of Sham-Free to my fingertips and cleanse my scalp with gentle, circular motions for one to two minutes. Then, I apply a palmful on the lengths of my hair, using the “praying hands” method. I trickle some more water in. The water helps to create a very slippery feeling. Finally, I begin to finger-detangle in a downward motion, starting from the ends and making my way to the roots. Once all the knots are gone, I fully rinse. If you have any areas of your hair that repel water, you can use Sham-Free as a wetting agent by applying it to dry hair before wetting under the shower. 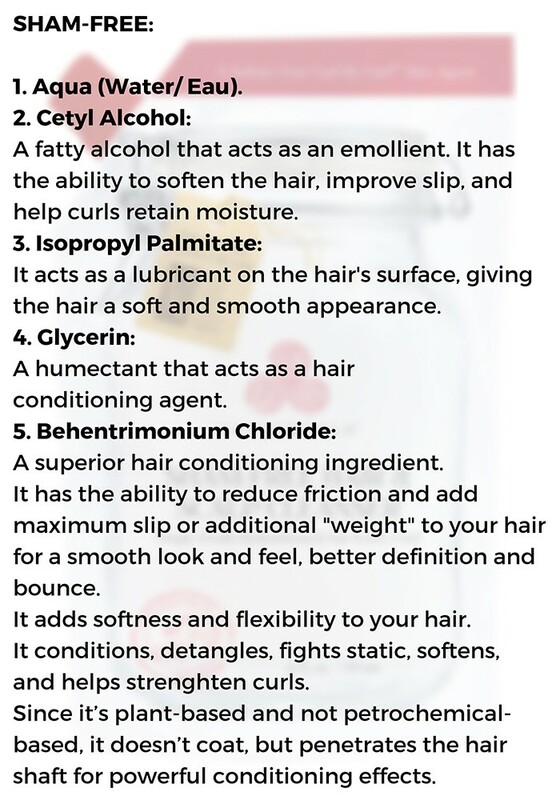 This will help your hair absorb the water in a more effective way. Sham-Free feels very slippery on the hair, while cleansing thoroughly. In any given formula, the five top ingredients are the ones in highest amounts. Sham-Free’s seventh ingredient is cocamidopropyl betaine, which is a gentle cleanser. The ninth ingredient is menthol. It has a cooling and stimulating effect on the scalp. It also cleans skin pores of irritants. The tenth ingredient is a rare, five-star ingredient for hydration and shine: Selaginella Lepidophylla (resurrection plant) extract. This is a very powerful and effective emollient, with the ability to moisturize, enhance, protect, and soothe your scalp and hair. This extract can improve the health of hair in the long term. Sham-Free also has bamboo extract as the fourteenth ingredient. Bamboo can promote hair growth and moisture retention. It helps hair stay elastic, shiny, and soft. Bamboo extract also helps by cleansing hair of pollutants, product build-up, and dead skin cells. It appears as ingredient number 15 in Terms & Conditions. 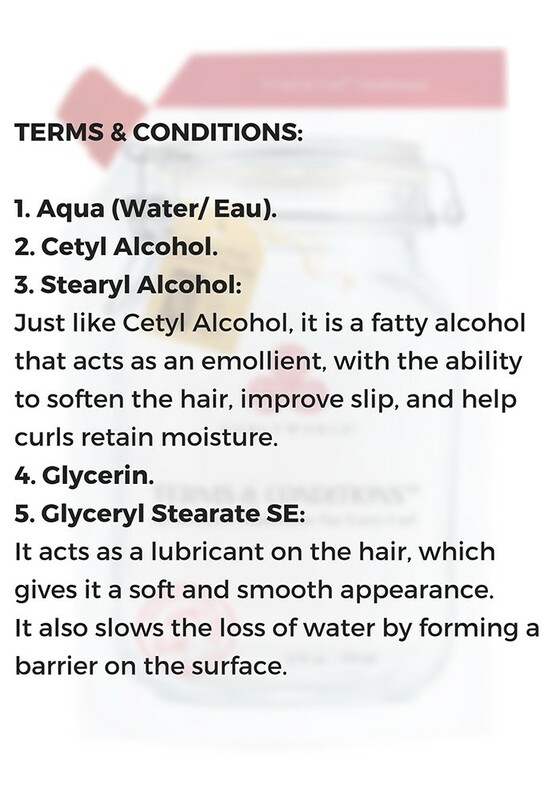 Terms & Conditions is a botanical, lightweight conditioner that melts into the hair like a balm. It adds slip and incredible shine to curls. It was designed to be left in the hair for true hydration. After fully rinsing Sham-Free, I flip my hair forward and apply Terms & Conditions to dripping wet curls using the “praying hands” method. Once the conditioner has been applied to all areas of my hair, I finger-comb my curls with super wet hands to ensure even distribution. If I notice that some areas feel like wet hair rather than wet conditioner, I apply a little bit more and gently scrunch. Terms & Conditions melts into the hair, becoming one with the water that is already in it. Although it contains some shea butter, it does so in trace amounts, as the tenth ingredient. Terms & Conditions does not feel heavy or greasy whatsoever. It is also suitable for the finest of curls. I always leave Terms & Conditions fully in my hair. I don't feel the need to rinse any of it. As its sixth ingredient, Terms & Conditions has stearalkonium chloride, which can minimize frizz in dry weather. It also increases luster and improves the feel for detangling. Resurrection plant extract appears again as the eighth ingredient. Rose oil appears as the ninth ingredient in Terms & Conditions and as the eleventy ingredient in Sham-Free. This is an oil that strengthens roots in the scalp. It helps the follicle to hold onto the root instead of shedding it. This antiseptic oil also adds shine to the hair, combats dirt and bacteria on the scalp, and unclogs hair follicles. With or Without Hue is a blue-toning conditioner, created to target or prevent brassy or yellow tones in gray hair. It also targets or prevents brassy tones in blond hair, or brings out cool tones in brunettes! Silver-haired Katherine Howard says that she noticed a change in the crispness of her natural color after using With or Without Hue. Although she doesn’t usually experience high amounts of brassiness, she noticed a deeper effect in her natural color after using it. She also really liked Sham-free and Terms & Conditions. My natural brunette curls in cool tones, after using With or Without Hue and Terms & Conditions. This photograph has not been altered in Photoshop. There are several ways to use this conditioner. You can apply it to your hair and leave it on for as long as you like, then fully rinse. With or Without Hue rinses off fully without problems. I applied it to all areas of my hair before conditioning with Terms & Conditions, left it in for 10 minutes and fully rinsed. You can also use it as a leave-in. Just make sure you use a dark microfiber towel to dry your curls and a dark pillowcase (to avoid staining). Another clever way to use it is by targeting individual areas on dry hair. Mix 1 part With or Without Hue in a spray bottle with three parts lavender or distilled water. Spot spritz on dry strands to target visually brassy or yellow areas. You can use it as a leave-in or allow it to absorb as a pre-wash toner before cleansing your hair in the shower. Beth’s blonde and Katherine’s gray curls, after using With or Without Hue. These photographs have not been altered in Photoshop. In terms of formulation, With or Without Hue has the same core ingredients as Terms & Conditions. At the end of the list, it contains a blue coloring pigment. 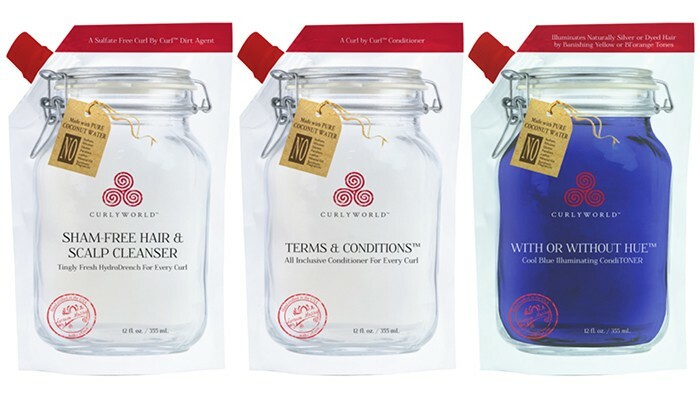 Leave In Lover is the perfect cherry for the curly cake that all CurlyWorld products help to create. While it’s not on the market yet, it will be soon, and I got a sneak preview. I believe many curly girls will love it. Leave In Lover is a clear gel that truly does love curly hair. This is because it’s a true hydrating gel. It marries and holds water extremely well, adding shine, definition and hold without any crunch. Leave In Lover is fully compatible with Terms & Conditions. They do not become flaky on the hair. Together, this pair will allow you to have a real experience with your curls, without stiffness, greasiness or tackiness. Only amazing and shiny natural curls! My day 1 natural curls after using all CurlyWorld products. Sham-free, With or Without Hue, Terms & Conditions and Leave In Lover. The shine that Leave In Lover offers is incredible. I was honestly very impressed! Leave In Lover does not have any crunch to scrunch out, yet offers a firm, natural hold to curls. It contains two amazing ingredients in high amounts: hydroxyethylcellulose and guar hydroxypropyltrimonium chloride. Hydroxyethylcellulose is a natural, film-forming humectant. It attracts water very well and forms an invisible, water-hugging film on your curls. It has styling and hair-health benefits in the long term, such as shine and hydration, because it does a very good job of keeping moisture in your hair for longer periods of time. Film-forming humectants are great moisturizers across all kinds of hair porosity and quite fantastic for curly hair that is dehydrated. Guar hydroxypropyltrimonium chloride is a hair conditioning agent that reduces friction, adds slip and weight to your hair for a smooth look and feel, better definition, and bounce. Leave In Lover also features resurrection plant and and bamboo extracts for extra retention of moisture. My day 2 curls completely untouched, after using all CurlyWorld products on day 1. After applying Terms and Conditions and leaving it in, I apply Leave In Lover to all areas of my hair using the “praying hands” method. Once the gel is applied to all areas of my hair, I finger-comb my curls with super wet hands and some more emulsified gel, to ensure even distribution. I scrunch my hair gently and diffuse on low heat and medium air flow, until the hair is fully dry. Finally, I give my roots a shake and gently part my hair to the side. Leave In Lover can also be used to lightly refresh multi-day curly hair. For refreshing, I simply emulsify some Leave In Lover with a sprinkle of water on my hands and apply to dry day 3 curls using the “praying hands” method. Then, scrunch and air dry. Day 3 curls, lightly refreshed with Leave In Lover and a sprinkle of water. I believe that CurlyWorld products take away the complication of caring for curly hair. 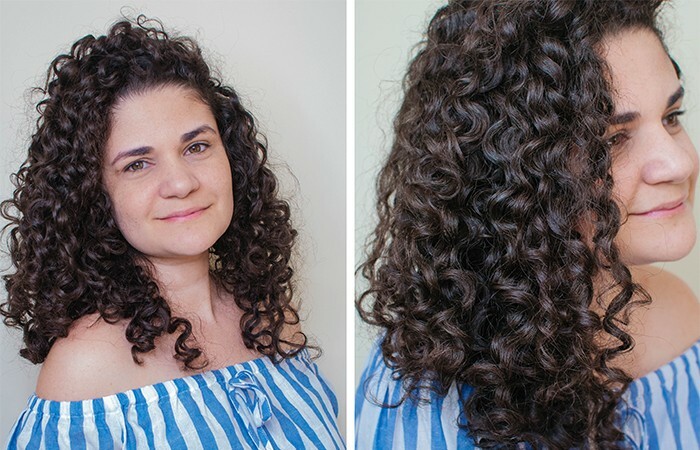 They have truly become some of my favorites, because they allow me to have a simple and curl-forward routine with beautiful, healthy, and shiny curls at the same time. 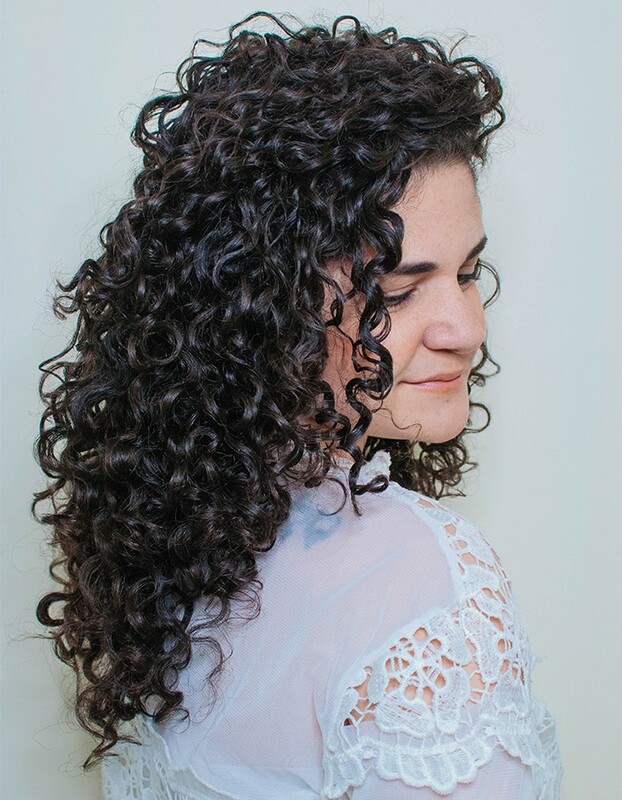 Rather than “tame” or “control”, CurlyWorld does the exact opposite: they give curls what they need, releasing them to simply bloom and be themselves, in an uncomplicated way. CurlyWorld has become a top winner in my book. What about you? Have you already tried CurlyWorld in your curls? Feel free to share your thoughts in the comments section below!